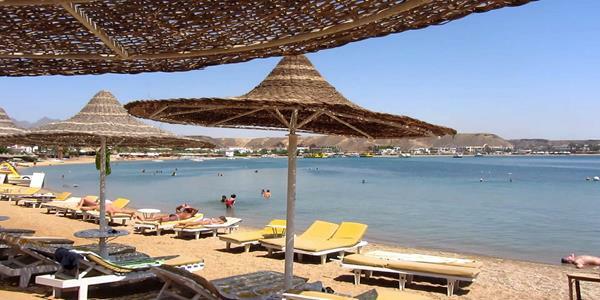 Your Holiday Claims have helped a Bridgend couple claim £3,900 in compensation following a sickness stricken stay at the Sea Club Resort, Egypt. Mark and his fiancÃ©e Lianne jetted off to Thomsons flagship Sea Club Resort, Sharm el Sheikh in early May 2015. The welsh couple were looking forward to taking advantage of the many five-star facilities on offer and exploring the surroundings of Nabq bay through planned excursions. Unfortunately, the couples holiday plans came to an abrupt halt as they were struck by a severe sickness bug that was allegedly circling guests at the beachfront resort. Speaking to the experts at Your Holiday Claims, Mark describes been woken early one morning by excruciating stomach cramps, quickly followed by severe diarrhoea. âThe pain was so sudden and crippling that I was completely floored,â he said. The very same day, Lianne began to be violently sick and experience the same agonising stomach cramps and diarrhoea that had first struck her partner. Both Mark and Lianne were to continue to suffer from the sickness symptoms for the remainder of their holiday. Alarmingly, the couple claim that several of their fellow hotel guests were struck by similar sickness symptoms during their stay and they are clear that poor food hygiene was the root cause of the suffering. Lianne adds that it was also apparent that the drinks at the hotel were watered down. At the close of their ruined holiday, the couple returned home exhausted and still suffering from illness symptoms. âI had to take 4 days off work,â commented Mark. âIt was not until the end of May, some 10 days after we first fell ill with the sickness bug that Lianne and myself started to recover. âWe tried to seek medical attention at the resort but the doctor wanted to charge us 600 euros for a course of injections, we thought this was an extortionate price to pay as the sickness was due to the hotels lack of food hygiene. Devastated by their ordeal at the Sea Club Resort, Mark instructed specialist solicitors Your Holiday Claims. Travel law expert Sue Robinson represented the couples case for compensation on a no win, no fee basis. With Sues help Mark and Lianne received £3,900 in a settlement with tour operator Thomson. Sue added, âI am delighted to have assisted Mark and Lianne. Falling ill on holiday can be incredibly distressing for all involved and holidaymakers are often uncertain where to turn for help. Provided that your stay was within the last three years and was booked as a package, the legal experts at Your Holiday Claims could help you make a no win no fee claim for sickness on holiday. To date, we have secured over £1 million in total successful settlements for British holidaymakers struck by sickness in Egypt. Or, simply complete the online contact form and one of our Egypt holiday sickness claims specialists will be in touch within 24 hours.